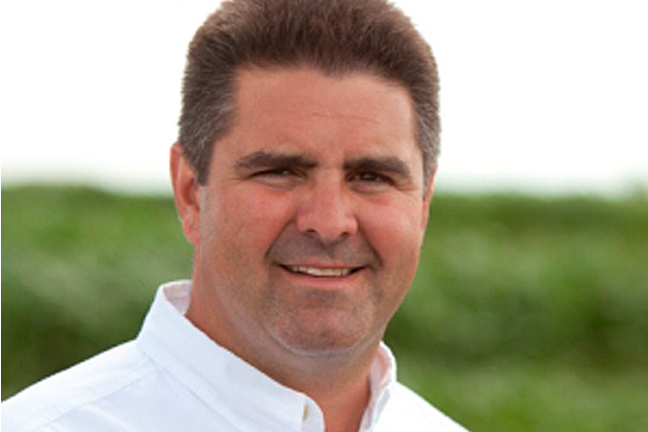 Dow AgroSciences has named John Laffey as an Enlist™ field specialist. He will provide dedicated technical and agronomic support for the Enlist Weed Control System to growers, distributors and retailers in Colorado, Kansas, Missouri, Nebraska, Oklahoma and southern Iowa. Regulatory approvals for the Enlist system are pending. In 2007, Laffey joined Dow AgroSciences as a Mycogen Seeds sales representative in northwest Missouri. In this role, Laffey worked in sales, marketing Mycogen® brand seed (corn and soybeans) and helping retailers select seeds, fertilizers and chemicals. Before working for Dow AgroSciences, Laffey spent 10 years in agriculture retail management, working with growers and managing salespeople to provide agronomy recommendations and solutions. He also worked for the Farm Credit Association for two years as a loan officer and servicing crop insurance. Laffey graduated from Northwest Missouri State with a bachelor’s degree in agriculture science with an emphasis in agronomy. This summer, Laffey will focus on educating growers, applicators, seed sellers and retailers by demonstrating the Enlist system at the Dow AgroSciences Technology Centers in Iowa and Kansas. Enlist™ field specialists are experts in weed management, application technology and crop research. They are a key component of Enlist Ahead, a benefits-based management resource designed for the grower, applicator and retailer. Field specialists will help retailers and seed sellers understand the technology and make sound agronomic decisions for their customers’ farms through classroom and in-field training.